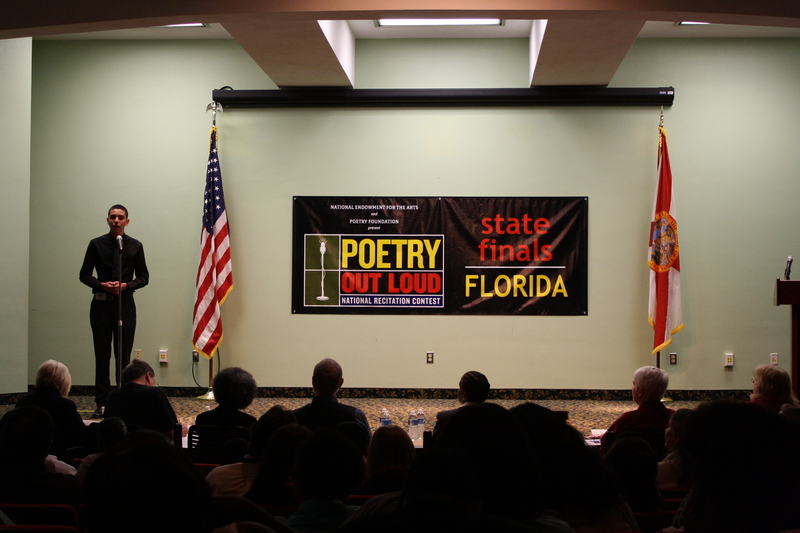 On Saturday, March 9, forty-four high school students from across the state of Florida came to Tallahassee to compete in the Poetry Out Loud Florida State Finals. 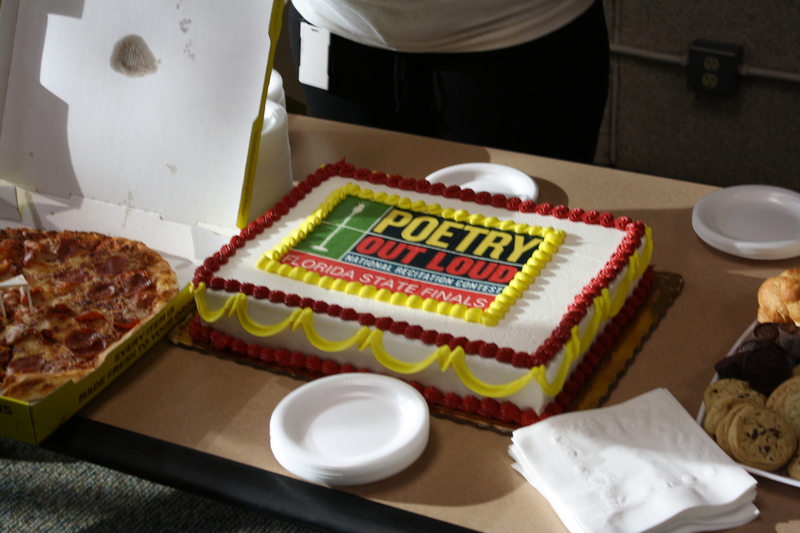 This year, the Poetry Out Loud program in Florida assisted nearly 20,000 Secondary-Level students in learning about poetry in their classrooms. Program outreach to Florida’s many school districts included suburban, inner-city and rural community schools around the state. 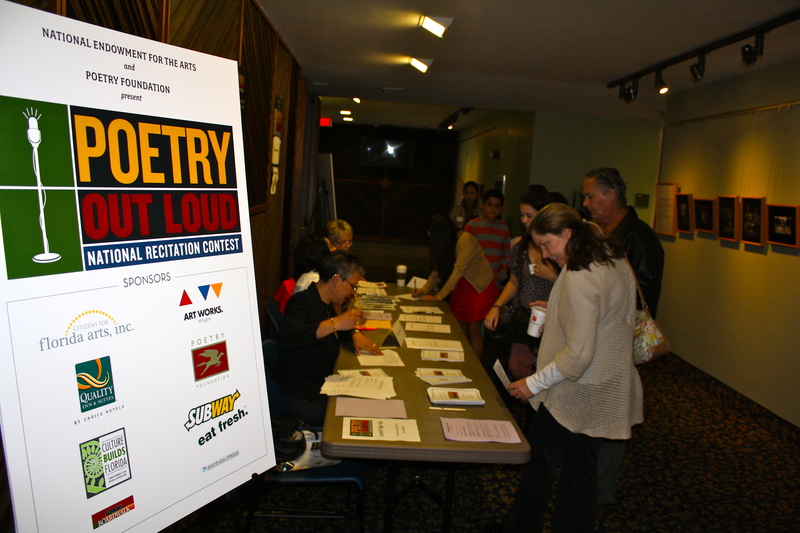 Poetry Out Loud uses a pyramid structure that starts at the classroom level. Winners advance to a school-wide competition, then to a regional and/or state competition, and ultimately to the National Finals. Teachers at more than fifty Florida high schools completed this program through to the end, and forty-four schools sent one student winner each to represent their school in the State Finals competition. The photos below depict the full and enlightening weekend these students had. 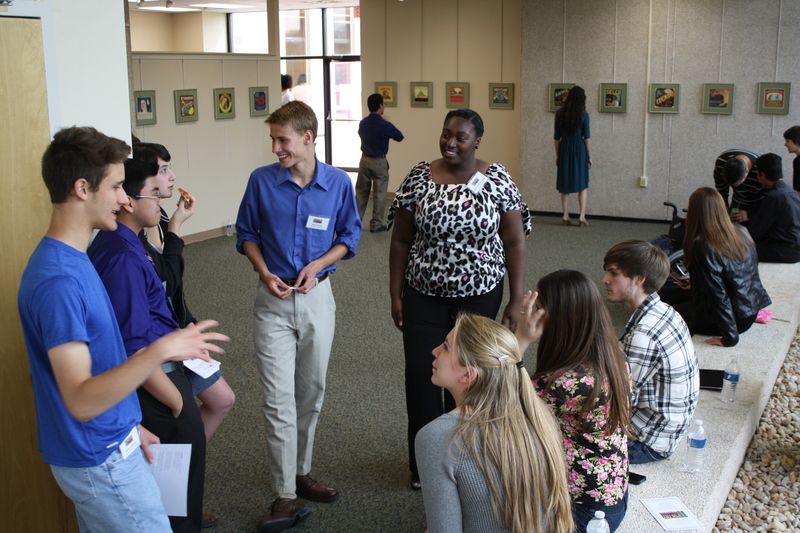 Forty-four students who won the individual competitions at their own schools came to Tallahassee and competed on March 9. 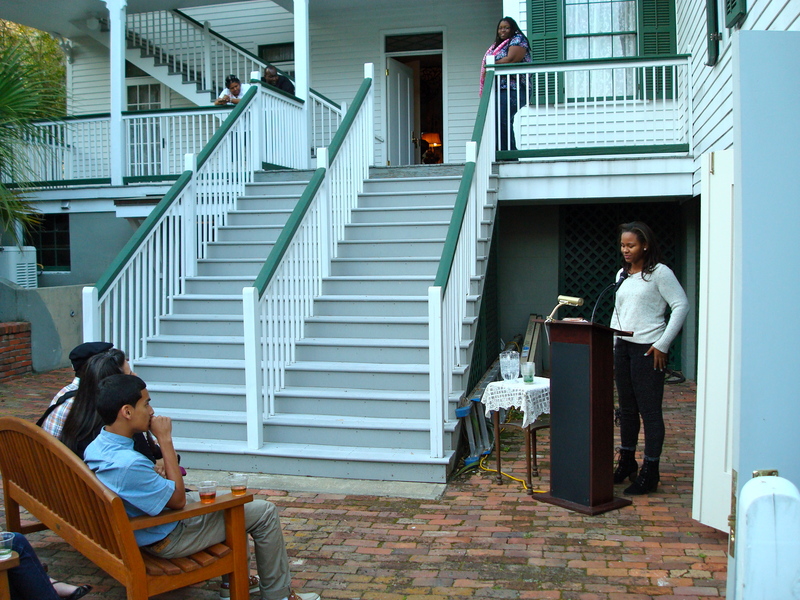 The poetry-filled weekend began at the historic Knott House Museum on Friday night, where students were able to introduce themselves and share some of their own poetry. Competing students, their families, teachers and guests arrived to the R.A. Gray building in Tallahassee early on Saturday morning to register. 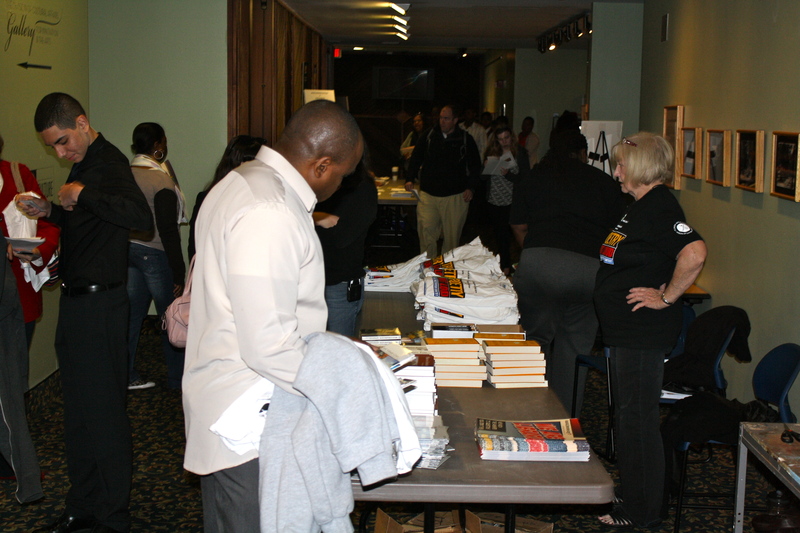 Competing students were given shirts, poetry books, CDs, and other giveaways provided by our gracious sponsors. 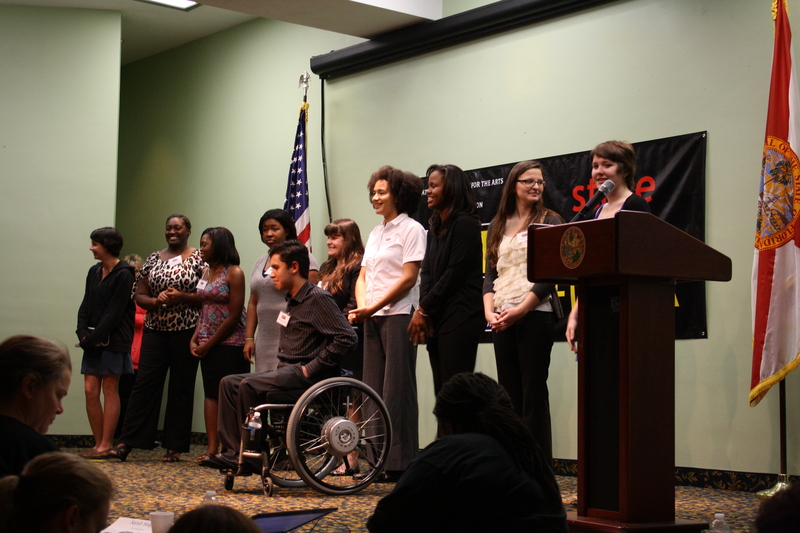 Aaron Abiza from Hialeah Senior High School in Miami-Dade County chose “Lazy” by David Yezzi for his first poem. 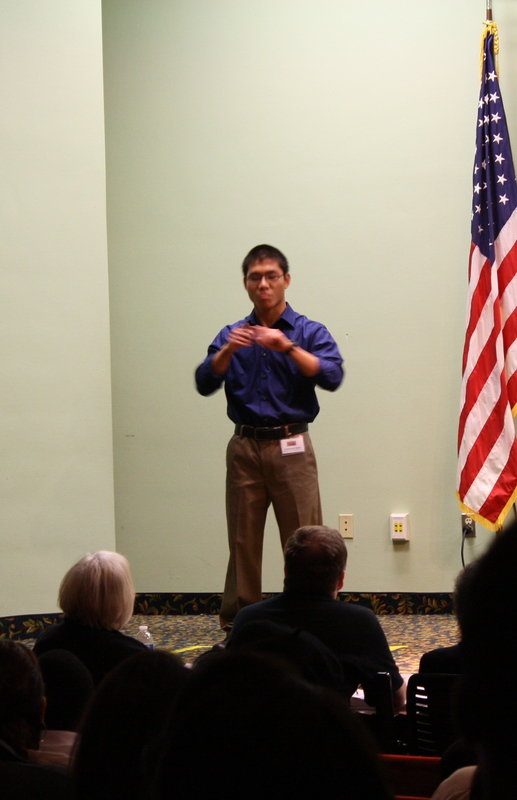 Recitations were judged on physical presence, voice and articulation, dramatic appropriateness, level of difficulty, evidence of understanding, overall performance, and accuracy. After a full morning that included each student reciting their poem, the top 25 participants advanced to Round Two. During the lunch break, students had a chance to talk about their poems over pizza. 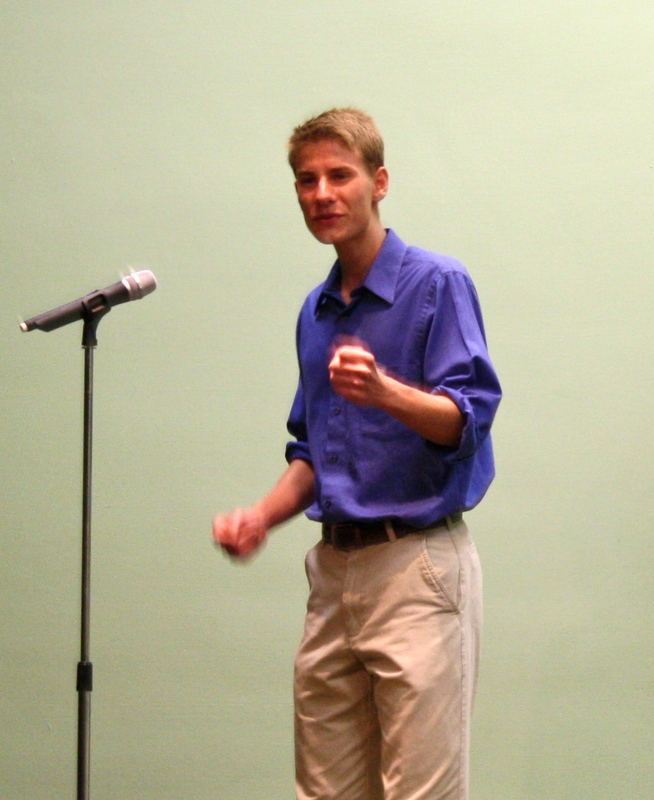 Seth Snow, who won the school-wide competition to represent the Florida School for the Deaf and the Blind, advanced to the second round and used ASL to share his poems. Rhen Davis from Bucholz High School in Alachua County recited “The End of the World” by Dana Gioia. This program encouraged students like Rhen to learn public speaking skills, build self-confidence, and learn about their literary heritage. The judges selected ten students to go on to the third and final round. Second place winner Ricky Vega-Bossa from Western High School in Broward County recited “The Charge of the Light Brigade” by Alfred Lord Tennyson during the final round. The 2013 Poetry Out Loud Florida State Finals champion Kourtney Brooker, reciting her poem during the final round. Kourtney will go on to represent Florida in the National Finals in Washington, D.C. When the competition was all said and done, everyone had the chance to socialize during a reception before going their separate ways. Additionally, poetry can help people develop a more acute sense of empathy, foster creativity, and teach us to infuse life with beauty and meaning. Through engagement with poetry, these students will be better prepared to tackle professional challenges when they arise. 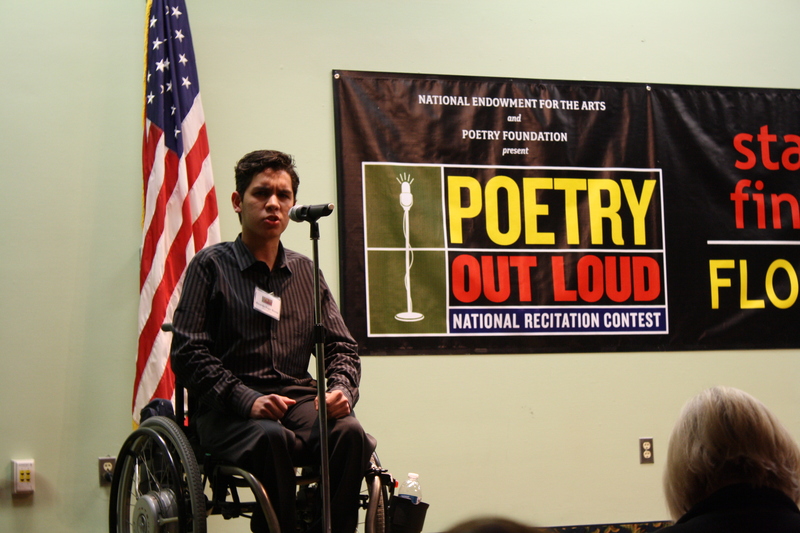 You can learn more about Poetry Out Loud by visiting the national recitation contest’s website at http://poetryoutloud.org. 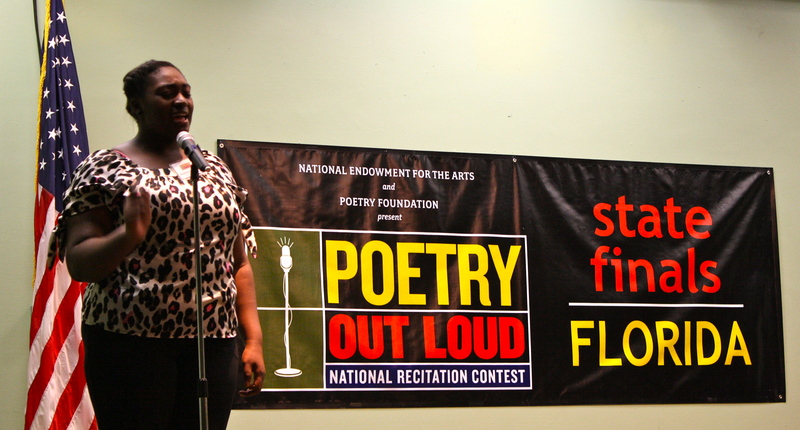 Teachers interested in participating in Poetry Out Loud next year should watch for updates at http://www.florida-arts.org/programs/poetryoutloud/. Thank you to all of the partners and sponsors who made this event possible, including the National Endowment for the Arts, the Poetry Foundation, Citizens for Florida Arts, the Sign Language Resource Center, Habana Boardwalk, Quality Inn & Suites, Subway, and Anhinga Press. We want to wish Kourtney the best of luck as she goes on to compete against all the other state champions in Washington, D.C. in April! This entry was posted in Spotlight On and tagged culture builds florida, florida division of cultural affairs, National Endowment for the Arts, poetry, Poetry Out Loud by culturebuildsflorida. Bookmark the permalink. Not only are we proud of our granddaughter’s participation in this event, as a freshman from Port Orange, we are grateful to the sponsors and coordinators for their efforts. At Jillian’s age, I too loved poetry and became an English major in college, applying the skills learned from my journalism minor in numerous jobs over the years. Thank you for encouraging creative efforts and talents.